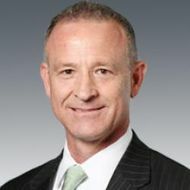 Sol Salinas is the Global Leader of Accenture’s Smart Cities practice and a North America Sustainability Practice Leader. He is responsible for the development and maintenance of a global Smart Cities offering and alliances with global Internet of Things (IoT) providers. He is involved with and often directly oversees the work of multi-disciplinary teams supporting Accenture’s work in cities across North America and throughout the world. As part of this effort, he leads Accenture’s digital work for the City of Chicago, representing the company in a unique Public Private Partnership with the city and various other public and private entities committed to rapidly advancing smart city development. Prior to joining the firm, Sol was Founder and CEO of Blue Dot Environmental Consulting, a minority-owned small business specializing in strategic sustainability consulting. Sol is a corporate sustainability specialist with 22 years of experience in the field, 15 of which were spent in executive positions with the US Environmental Protection Agency (EPA). Sol was one of the founders of US EPA’s ENERGY STAR program and managed its growth from 1991 to 2005. After completing a subsequent appointment as Assistant Office Director at EPA's Office of International Affairs, Sol left the federal service and eventually joined Accenture in February 2010 as part of Accenture's Strategy-Sustainability Services North America Senior Leadership team. Along with his Strategy experience and knowledge, his Sustainability functional knowledge includes strategic energy management, ENERGY STAR and LEED green buildings, renewable energy, carbon foot-printing, environmental metrics and reporting, and environmental marketing and branding. Sol's primary responsibilities at Accenture include helping to grow Accenture's presence across the federal government as well as expanding Accenture Strategy-Sustainability Services across Health and Public Service (H&PS) and throughout North America.